Which Spanish beer do you want me to test next? I tested a number of Spanish beers already – Ambar Especial just last year, the Canarian Dorada and the gluten free labelled Estrella Daura Damm which I tested positive, though. 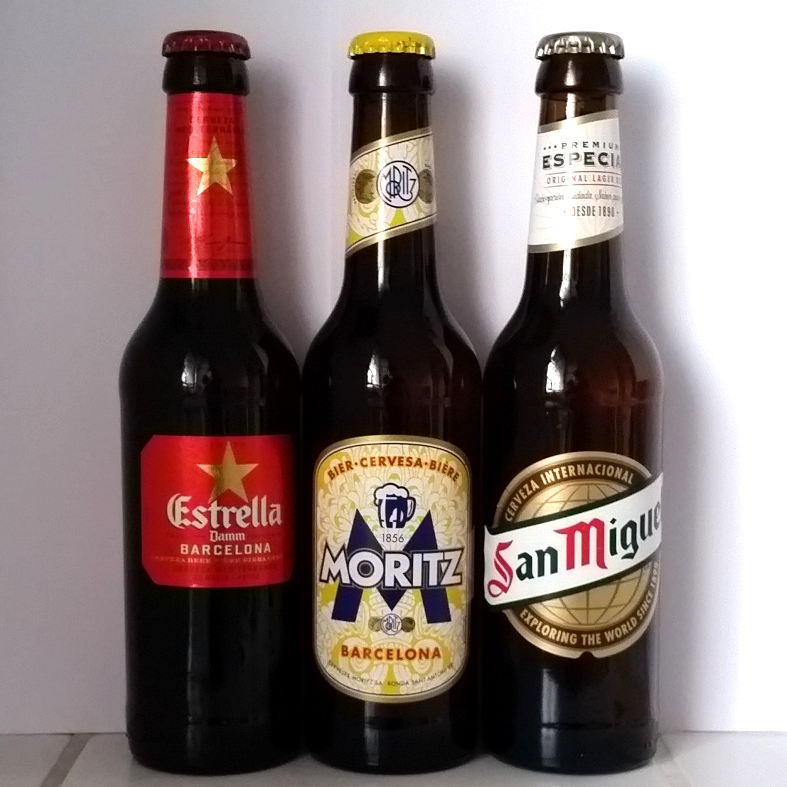 This time I give the regular Estrella Damm a chance, beside the famous San Miguel from Madrid and another beer from Barcelona with increasing sales called Moritz and named after the founder Louis Moritz Trautmann. I apologize, I know this is off topic. I had a great experience while recently on the East Coast with Yuengling Lager, unfortunately I live in a region of the country this isn’t distributed. I’d be very interested in the findings if you were able and any thoughts you have in regards to my gluten sensitivity and zero reaction to this brew. Born a beer lover and I’ve been so glad to find your site to help me in my search for something palatable. Hi Helen, good to hear you had no reaction to Yuengling. Just read that Yuengling is the oldest operating brewery in the US. Need to try it next time I am in the States and then maybe test on gluten.